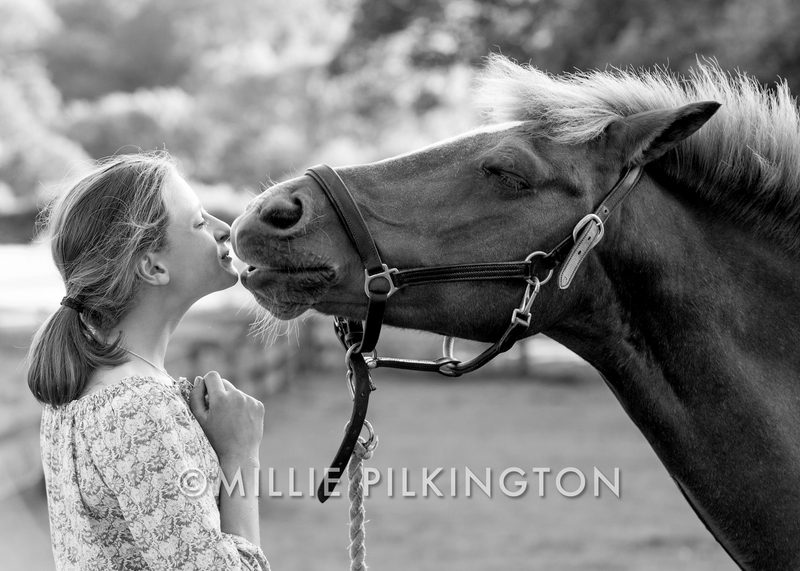 As a children and portrait photographer, I’m often asked to capture a family together. This is I think one of the most challenging jobs for a portrait photographer – everyone looking good at the same time in a not too cheesy pose! I have however learned over my years of photography that a family portrait doesn’t need to have everyone smiling perfectly at the camera. In fact, they tend to be more compelling if they look more natural and capture a moment. This requires a little forethought – composing the image and then creating the moment. 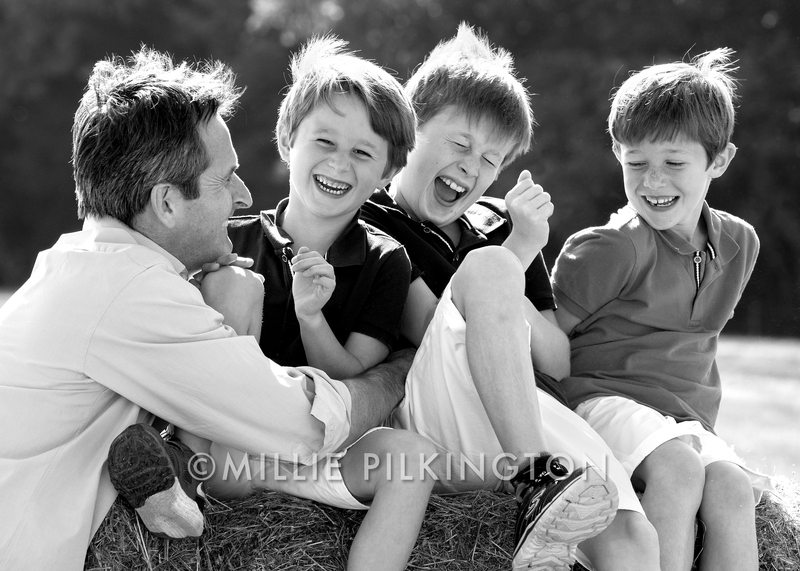 In this case, the brothers were all sitting on the bales of hay, when on cue, their father ran in to give them a good tickling, enabling me the change to capture a spontaneous image which exudes the fun, laughter and love shared between the father and his sons. I find these type of family portraits far more meaningful and likely to stand the course of time. Indeed, I hope this photo will remind these boys of how much their father loves them… forever. One of the many things I love about my job is returning to photograph the same children and families over the course of many years. I have been photographing these siblings every 2-3 years for over 15 years – now with a pretty unbeatable collection of A* A’Levels and GCSEs behind them, they were a far cry from the little rascals I photographed in my studio in London aged 4 and 2 years old! I love the composition of this image – the sister on the fence smiling down at her younger brother, both looking happy, relaxed and confident, framed within the urban context in which they have grown up.